The Neonatal Intensive Care Unit at Performance Equine Vets was designed specifically for accommodating the special needs of the critically ill neonate. We believe in only the highest standards of care for our critical foals. Over the last several decades, our understanding of disease processes that affect our neonates have improved dramatically. Conditions that affect our newborn foals that once carried a poor prognosis, now are treated with success. This incredible improvement in survival is due to increased understanding of neonatal physiology, better management, and application of newer technologies. The birth of a new foal is a wonderful yet very complex process. Newborn foals must make many physical adaptations to life outside the mare’s body in a relatively very short period of time. Leaving the uterus means that the foal can no longer depend on the mare’s circulation and placenta for important physiologic functions. After birth, the foal will need to work very hard to take a breath, the first few breaths may be shallow and irregular, as the fluid that was in the lungs during gestation is resorbed and oxygen begins to fill the lungs. 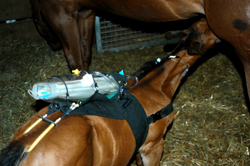 Next, the foal must learn to sit sternal, stand on all four hooves, locate the udder as well as coordinate sucking and swallowing to obtain nutrition. One of the most important aspects of neonatal medicine is ensuring adequate colostrum intake. This provides essential immunological support, without it the foals chances of survival are severely compromised. When a newborn has trouble making the adjustment from intrauterine to extrauterine life, the warning signs may not be obvious, and some problems may not be evident for several days. Being born prematurely, having a difficult delivery, or foals born to mares with placental dysfunction can make these changes more challenging. Fortunately for these foals, special newborn care is available. Intensive monitoring is essential in management of the critically ill neonate. This includes detailed cardiovascular, complete blood and electrolyte analysis, and oxygen saturation monitoring. Therapy provided focuses on targeted fluid and electrolyte management, antibiotic therapy, respiratory assistance, immunological support, seizure control, as well as nutritional management including parenteral (intravenous) nutrition and early enteral (oral) feeding. We provide 24 hour personal care for your foal. Please remember foals are not small horses. 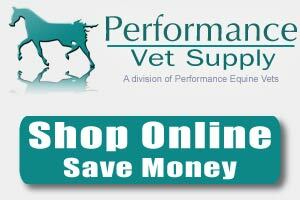 Disease processes, along with treatments are typically not the same as treating adult horses. Foal medicine is unique and challenging. Neonatal foals can provide subtle signs that indicate they might be in distress. It is critical that these signs and symptoms are noticed early and aggressive intervention provided to ensure the well being of the foal. Our goals extend far beyond survival of the foal. Our focus is to ensure the foals survival and usefulness for athletic activity as an adult. Each mare and foal are treated with love and respect. We understand that each mare and foal is an individual and may have unique and different needs. We try and accommodate those needs and provide an environment that is comfortable for both the mare and the foal. We are always available for a consultation.